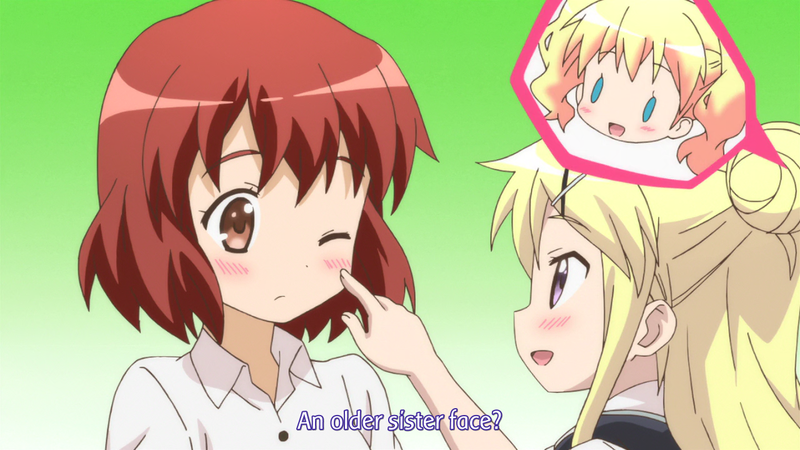 Kin-iro Mosaic – 05 | Mezashite! 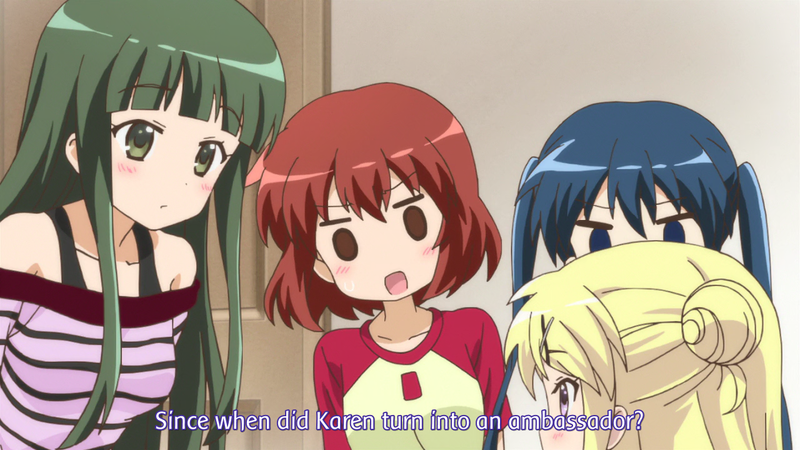 This reaction is created by the formal requesty request Karen just made, the ambassaddor-y nature of which we didn’t really convey, so I’m kinda patching that over here. 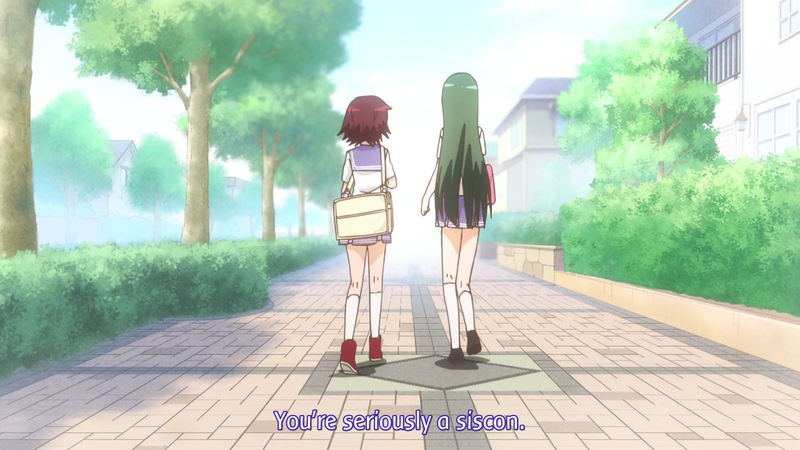 Like lolicon, but for sisters. You probably knew that, but I need to justify using the term in the release to myself. 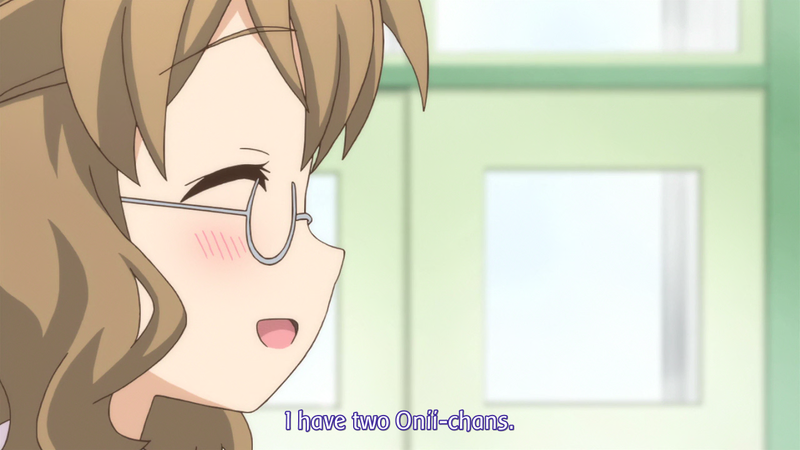 I was thinking about making the plural of “Onii-chan” “Oniis-chan”, but that would just look too stupid. 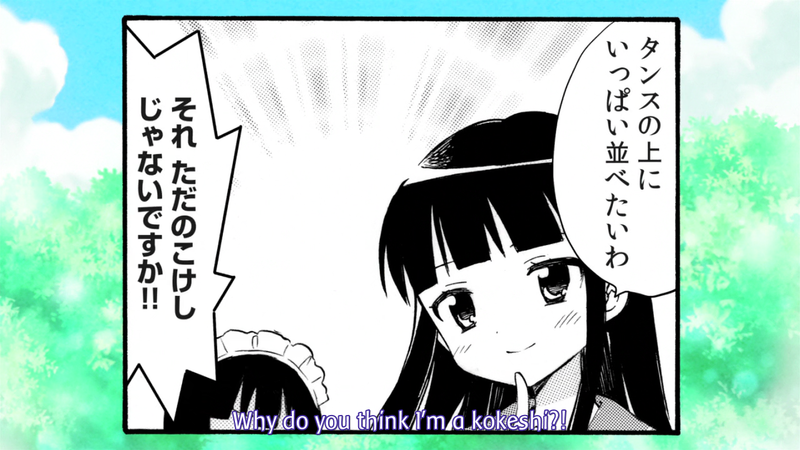 Kokeshis are things. 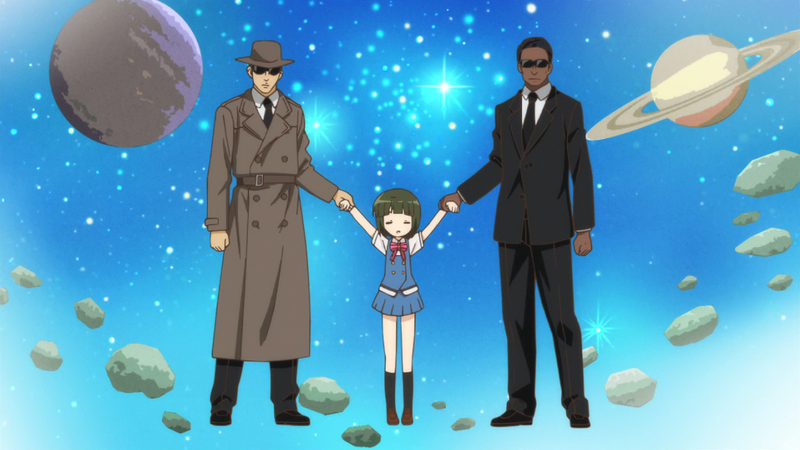 The same kind of thing Alice thought Shino looked like back in episode one. Thanks for the release, Akatsukin, Etoce! But then this is coming from someone who prefers the version of spacey/spacy you find stupid. It’s the version I first came across and semantically it just seems to fit better. As an adjective suggesting of blankness or space (outer space/vacuousness) containing space rather than spac? seems better to me. I got the on/by accident thing from this and it seems to correlate with my experience too. As for spacey/spacy, trailing e’s get cut off almost the time when forming forms in the English language. “Filled with craze” is “crazy”, “kinda like lace” is “lacy”. It extends to pretty much every word formed from another word. An adjective suggesting “spac” would be “spaccy” or “spacky”. You’re definitely right that “spacey” is correct. I just don’t like it. It goes against all the rules of the English language (space-y would be fine), and besides, what’s the comparative form of it? Spaceyer? If you use “spacy”, it’s easy. Spacier. 20:02 – And if she ended on a deserted island, she’d probably end up as strong as Tarzan.